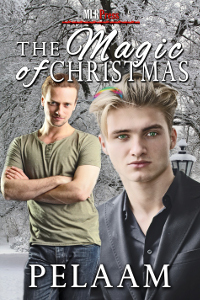 On a friends' getaway in a winter wonderland, Jared and Casey discover real Christmas magic. Jared joins his four best friends on an early Christmas holiday in a beautiful winter wonderland. He's been in love with the talented and extroverted Casey for years, but lacked the courage to say anything. Casey loves Jared, but despite his gregarious exterior, inside lurks someone shy and insecure and so he's never spoken up. Both men are about to experience real Christmas magic.